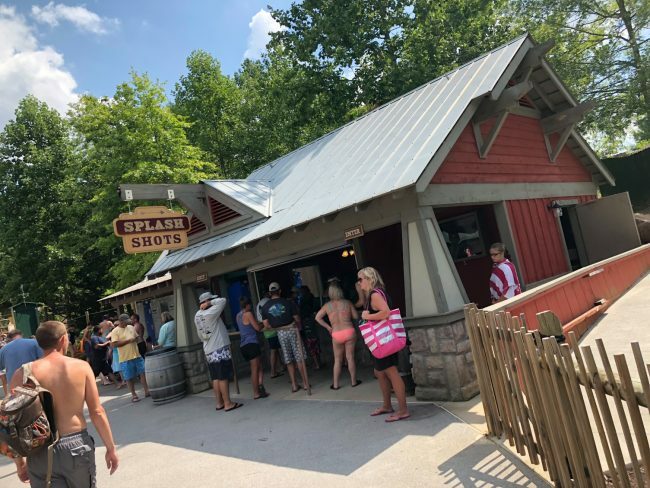 Dollywood’s Splash Country Full Review, POVs, Food, And More! Hello people of the internet, and probably people of a place that is starting to get all cold and chilly.. 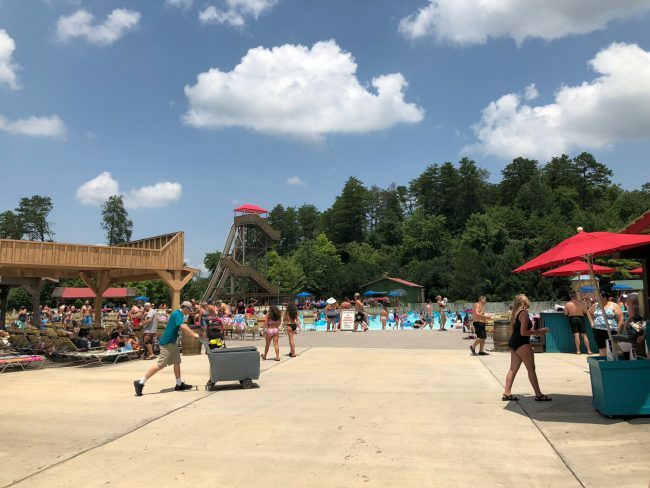 Yes sadly winter is upon us, and even though that means Halloween, Christmas, and more; it also means saying farewell to our favorite waterparks for a little while. 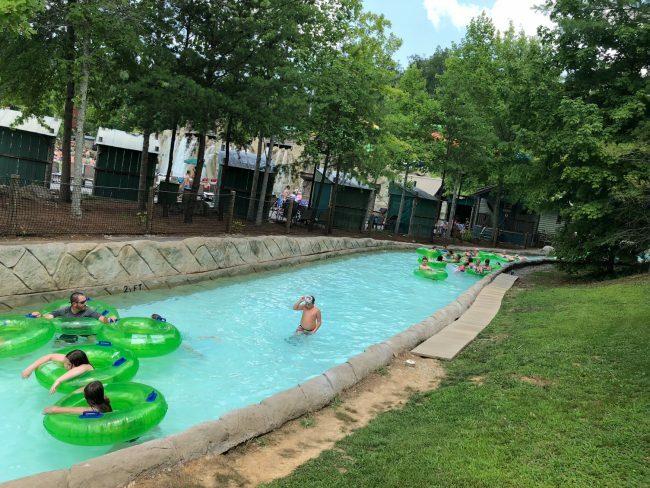 My favorite waterpark in the United States has to be Dollywood’s Splash Country, and for many more reasons than you may think. I have a gold pass, but if you don’t like talking to people you can buy your tickets fast and easy off these machines. I have only heard good things, and with Volcano Bay being my number 1 at the time, I was skeptical anything could top that. The park was very very busy today, so me and Morgan got the time saver wristbands. They were already sold out of the platinum so we went with regular. The difference between the two passes are just how fast you wait to use the time saver line. The platinum was no wait, and the regular you still had to wait a shorted version of the line. 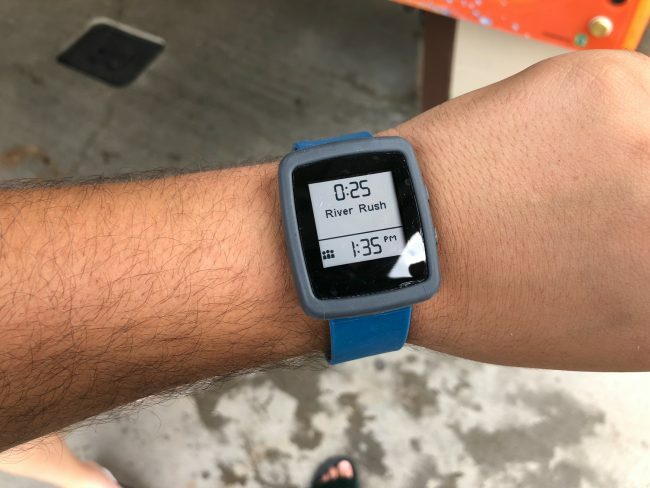 Think Six Flags flash pass, but in a waterpark. 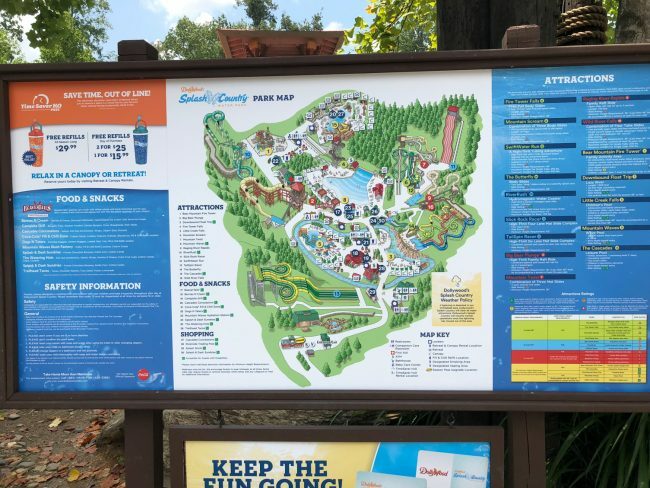 Here is a good look at the map of the park. The slides are all built into the sides of the mountains much as the coasters are in the dry park. So be prepared to do a lot of walking up hills. 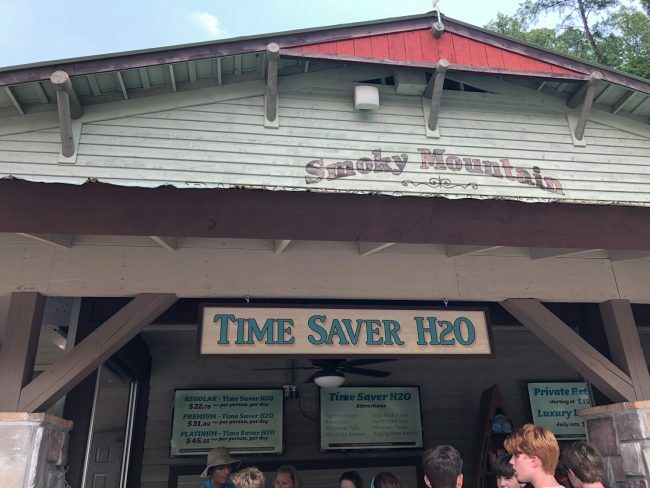 Here is the place to purchase time saver H20 tickets. 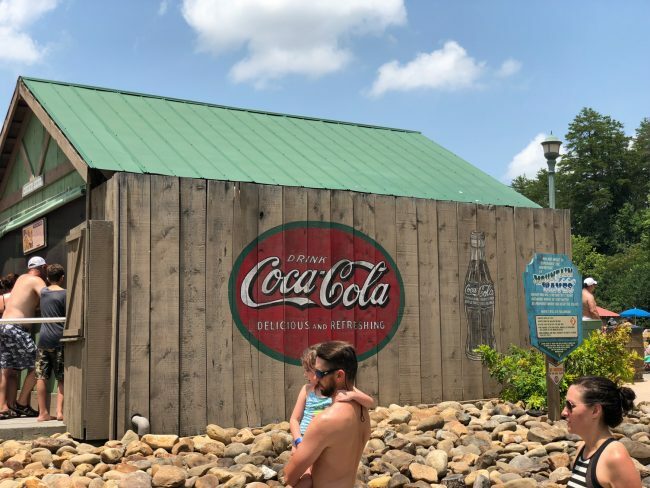 The theming is amazing, and is everything you’d find in Dollywood.. That being said this is no Volcano Bay theming wise. VB is an experience unlike anything in the country, and comparing the two are very hard for me. I would say though that this is my favorite waterpark as of now, but not my favorite themed waterpark. 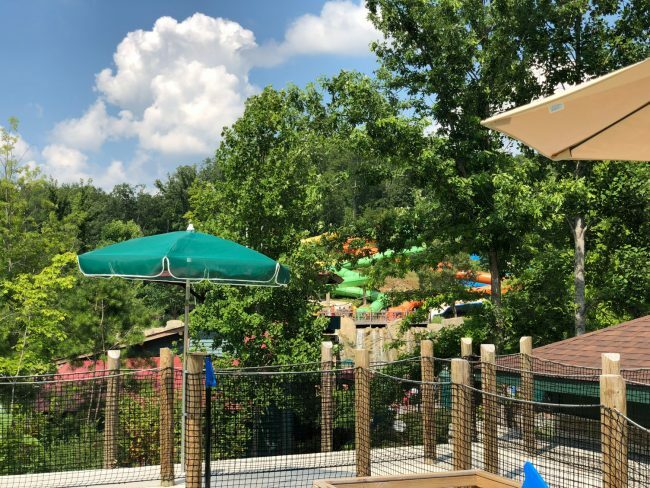 It is my favorite water destination of my summer 2018, and no traditional waterpark comes close. 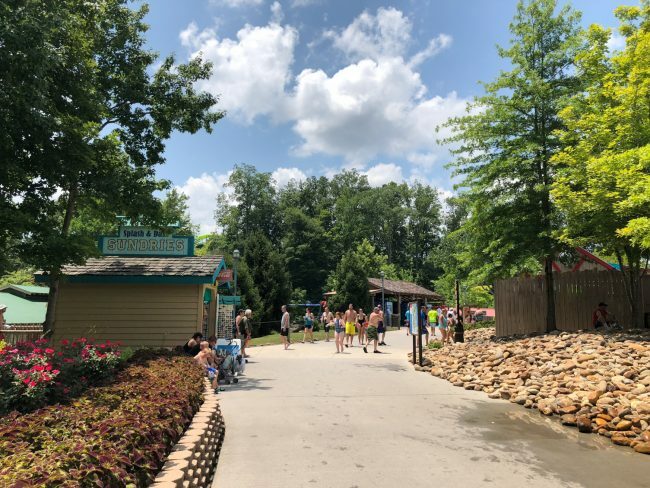 Here is some Pros and Cons I put together of why I think so highly of this park.. There aren’t many cons honestly, this is a very well run park. 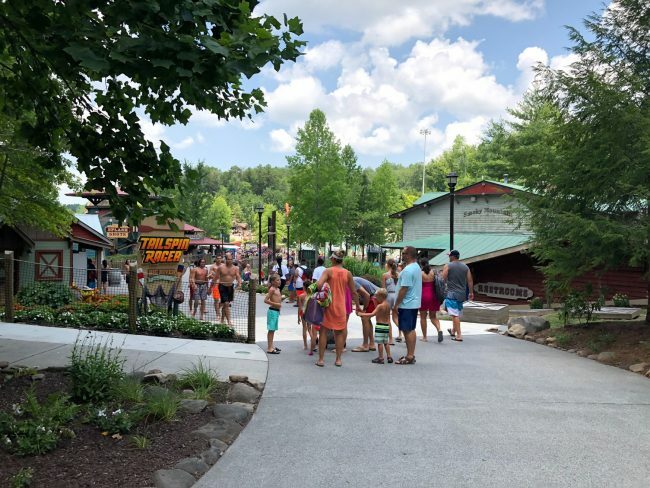 The staff is just as friendly as Dollywood, and the rides are some of the best versions in the United States. 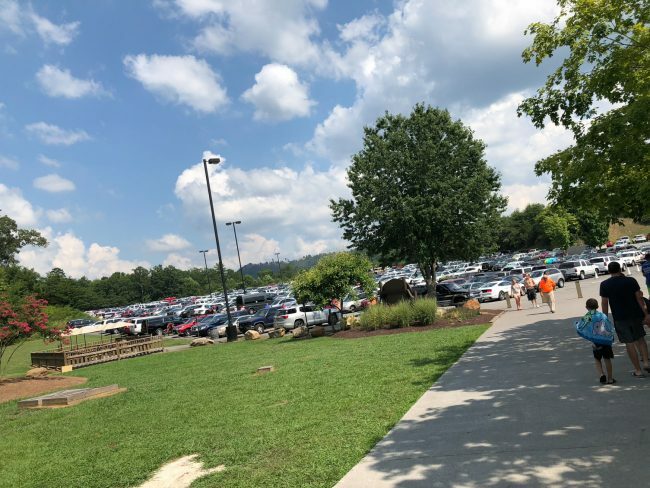 I will warn you if you go on a sunny day, the Tennessee heat really starts cooking the pavement and the have no cooling system. I actually melted parts of my flip flops, and had burns on my feet from the few hours I did not have my flops on. 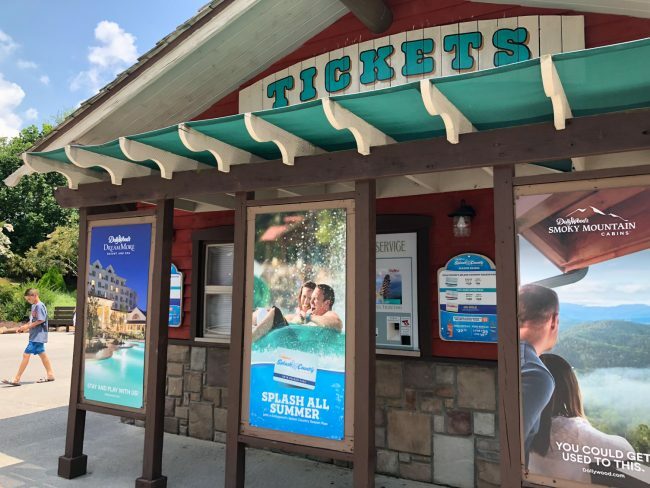 You check in at the bright orange kiosk stands located all over the park. The time saver is very affordable and I highly recommend it, even on a not so busy day. While we wait for our first ride time, we took a lap around the parks lazy river. A solid river, nothing special. You can float tube or no tube. You enter the river through the line in front of this massive waterfall. Pictures don’t do it justice, but this thing is 30+ feet and really roars. Above the waterfall is the exit for the tube slides. I’ll get to those later, but they are GREAT tube slides. 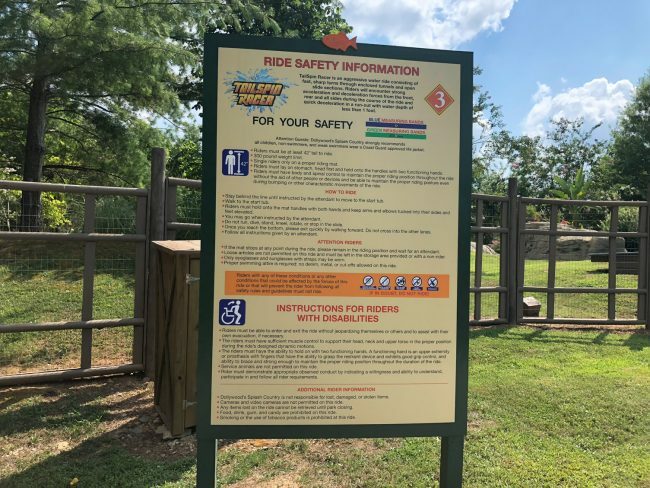 Here is one slide with no wait, and it is for adults and kids alike! 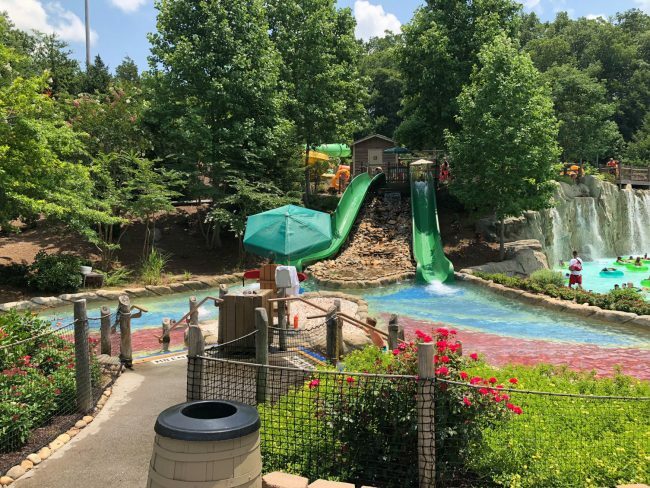 From the air the pool is made to resemble the Dollywood butterfly. I love how all the slides really use the terrain to support them. Our time was up for the first slide of the day, the parks hydromagnetic water coaster. 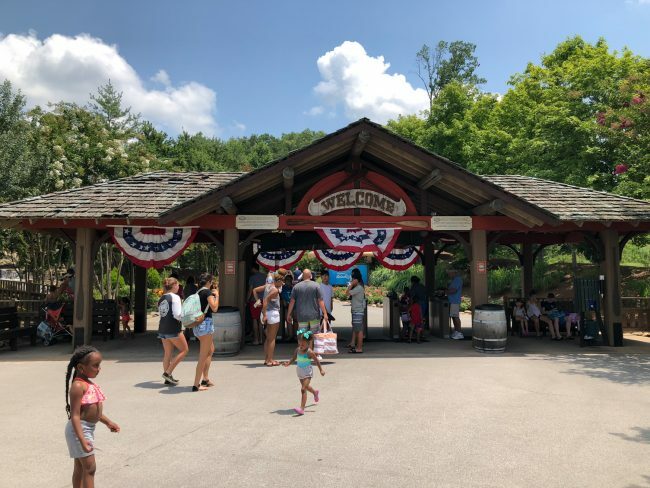 Our locker was at the front of the park so I had rot put my camera away and did not get photos of the water coaster, the kids area ,or the firetower falls. The parks water coaster was out standing!!! It was the highlight of the whole day and blew away all my expectations,. It actually has ejector airtime, on a waterslide. 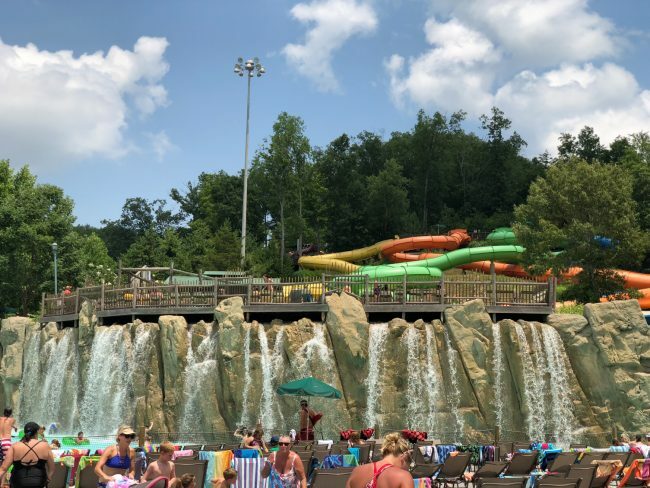 Firetower falls was good, just a drop slide. I headed back to the locker while we waited out the next slide. Looking at the one of two family raft slides. This was the better of the two, and had some times where you get very high on the wall. Time for our first food stop of the day. 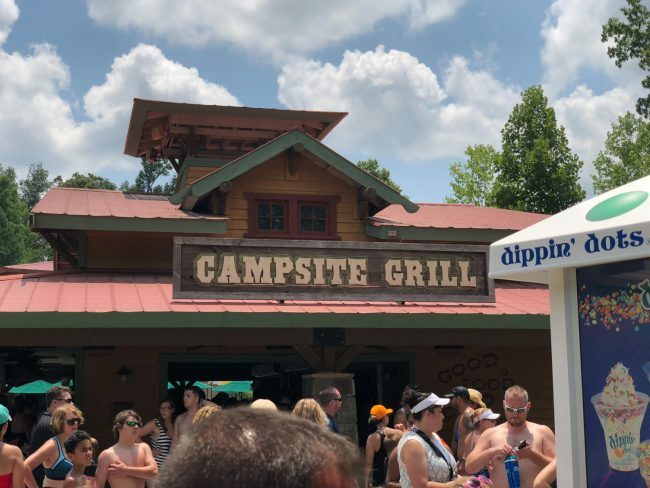 We had lunch at the Campsite Grill, which serves classic American BBQ. Morgan got a hamburger and I got crispy chicken and Mac and cheese. The food was a good 8/10, with the only complaint is it wasn’t as hot as i’d like it. The flavor was defiantly something not normal found at a waterpark, and was just as good as the food options you would find across the street at Dollywood. And yes they have many places to get Dippin’ Dots. Heading up to the Wavepool and to hunt out the Beaver Tail stand. The theming is so quint and can be found everywhere you look. But I don’t see any Beaver Tails.. The landscape looks great!! But still can’t seem to find the Beaver Tails..
Ahhhh, that is much much better. If you know me, you know that these are my favorite chain theme park snacks. I first tried them at Cedar Point In 2015, and I fell in love. 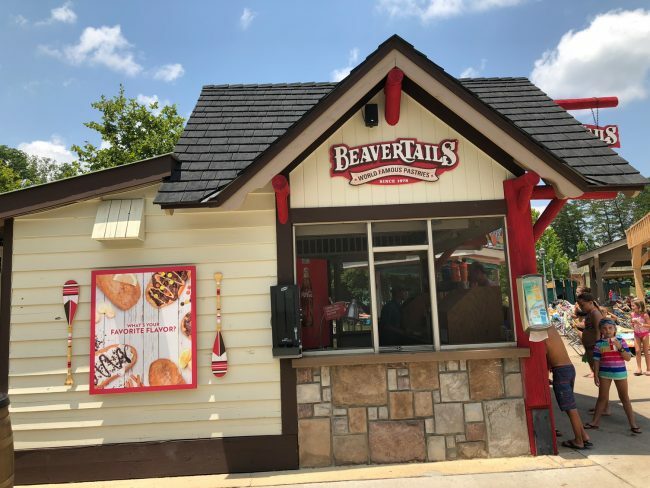 I haven’t had any since 2016 so hearing that they did have a stand at the park made the visit so much better. I had the moon-pie one, and it was outstanding and delicious as always. I wish every theme park had these. 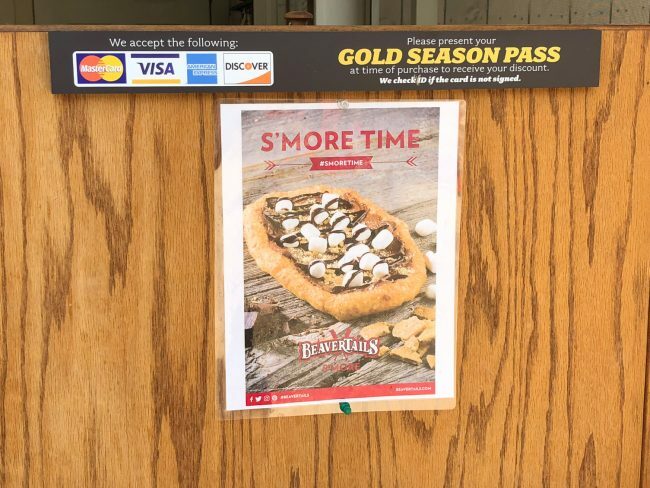 Some of the options they have at this Beaver Tails location. I love the trees in Tennessee, it is always beautiful no matter what time of year you visit. 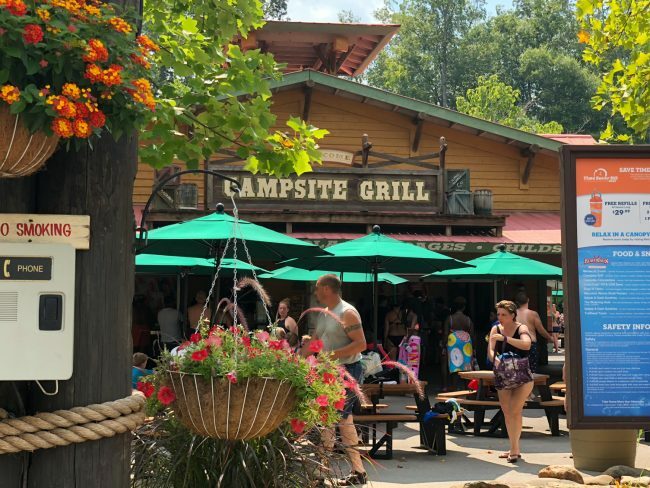 Walking past the Campsite Grill while going to get on another slide! 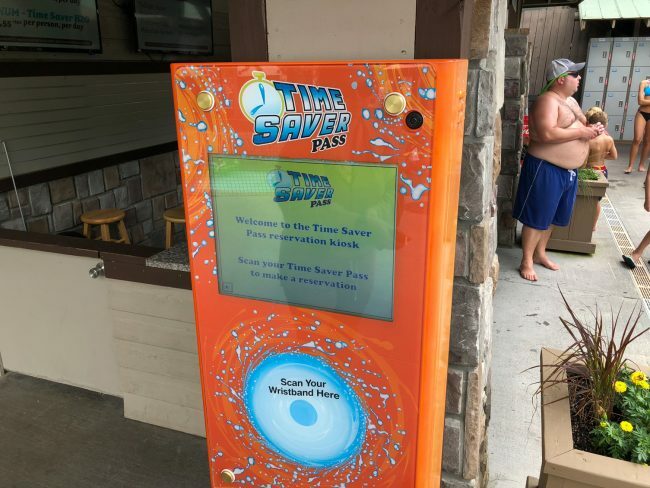 It’s not a waterpark without some of these guys. Just floating their cares away. Time to get on the busiest slide of the day… So that means camera back in the locker. I ended up finishing the last 5 slides with no waits. The pro-bowl was standard, but for some reason was the most popular ride at the park. 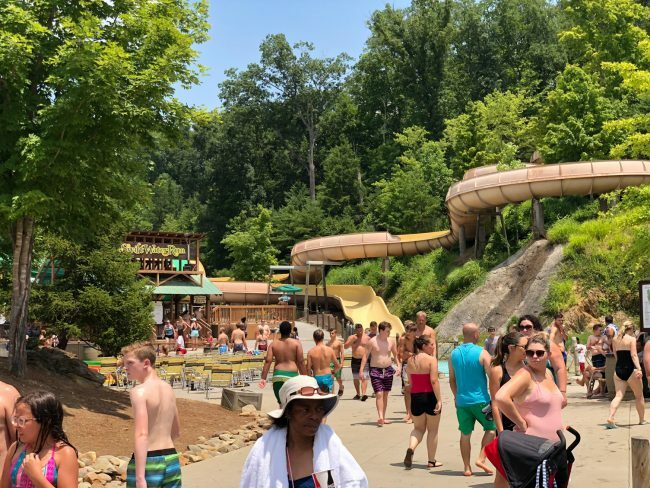 ( Over 55 minute wait ) We did the mat slide racer thats tucked in the back, it was fun and had some of the warmest waterslide water I’ve ever felt. We got on the twisty mat slides ( Think VB again ) and they were actually way better and longer than the Punga racers. Win for Splash Country ! Now for the last slide of the day, the parks newest attraction; Trailspin Racer. Can you handle this high thrill racing slide? 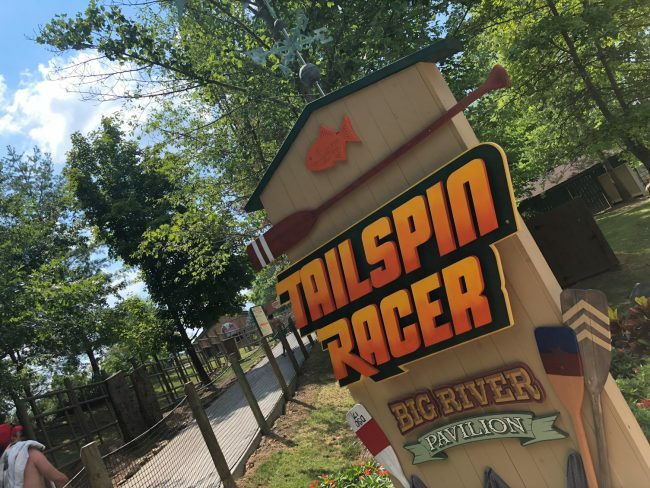 Built into the hills, Trailspin Racer takes 6 racers head to head as they twist and turn before shooting down a double down hill. The last hill gives some serious airtime if you know how to ride these rides properly. The second big highlight of the trip. There was no wait so I think we walking up those stairs 5 times. So worth it. More slides peaking from the neighboring hillside. The tube slides ended up closing early, and we only got on the orange one. 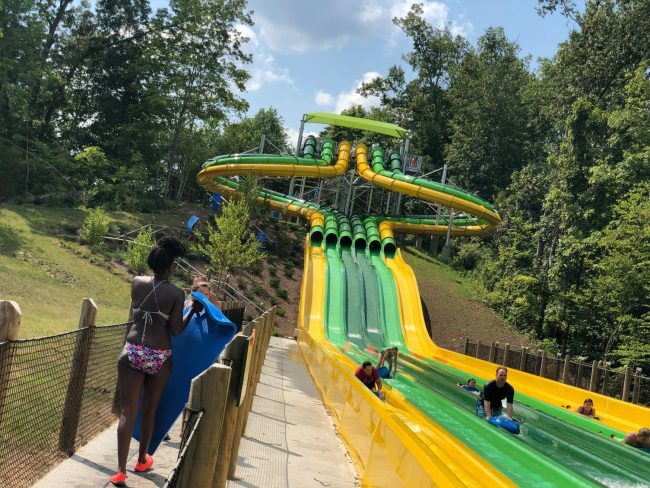 Probably the parks worst slides, but great for families and kids. 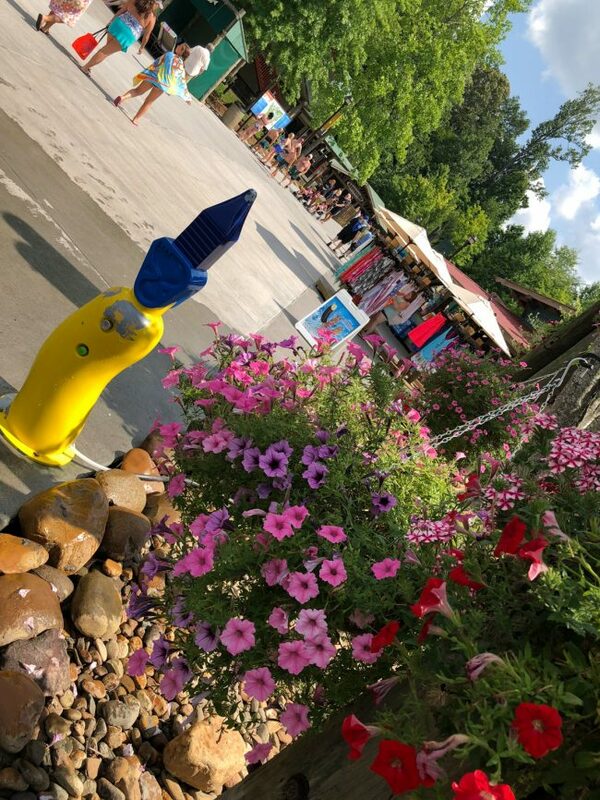 Time for one more walk through the wave pool before headed over to Dollywood. The wave pool, and the drop slides in the rear. 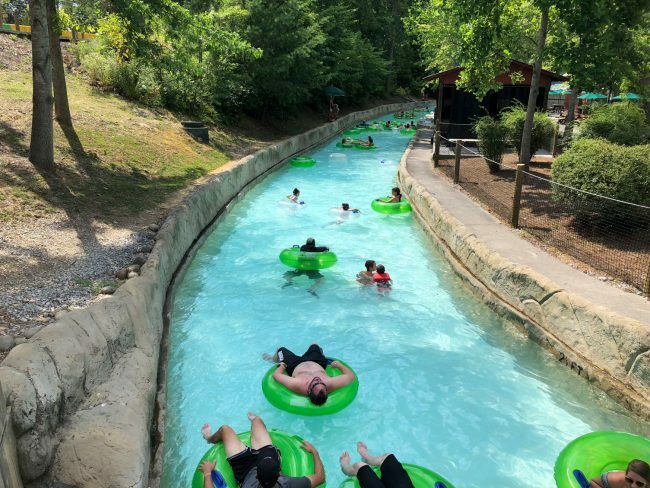 One of the best areas to beat the hot Tennessee summers. 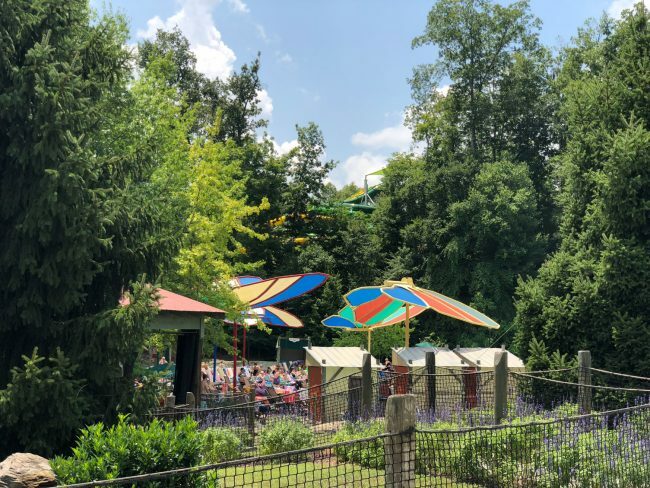 The Dollywood butterflies make another appearance as sun shades in the kids areas. Check out Trailspin racer in the back. Everywhere you look there are slides hidden in the hills. 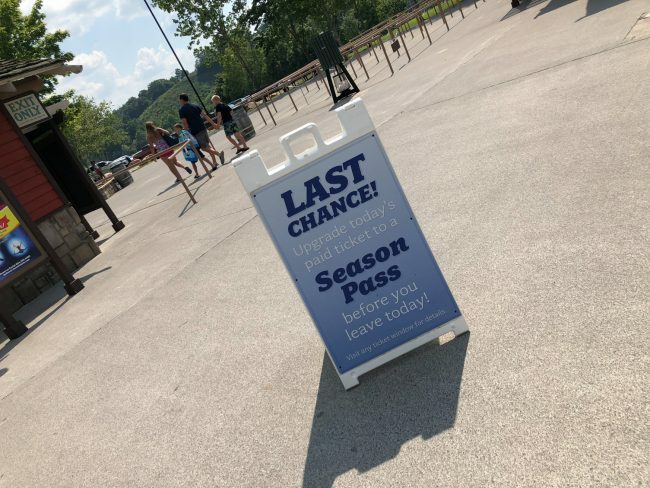 Make sure to get your Splash Shots on the way out and also drop off your time saver wristband. 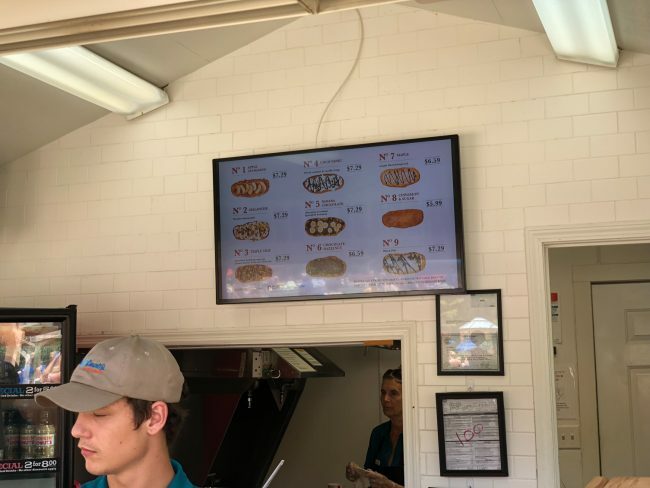 They will give you your $10 despite back. 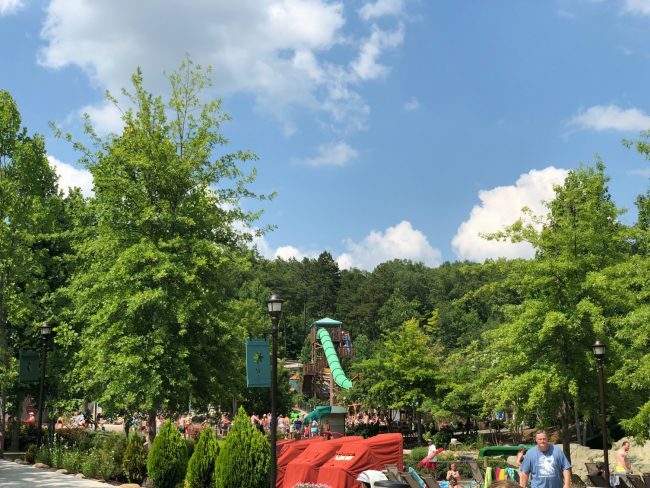 I hope you enjoyed a day at one of America’s best waterparks. 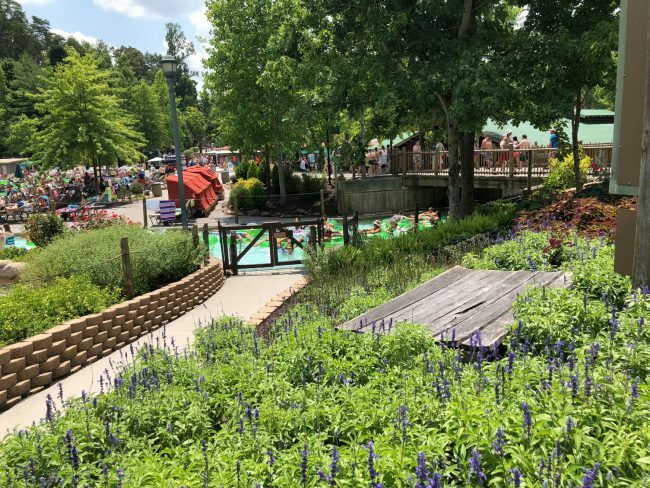 It has great food, great rides, great staff, and great prices. 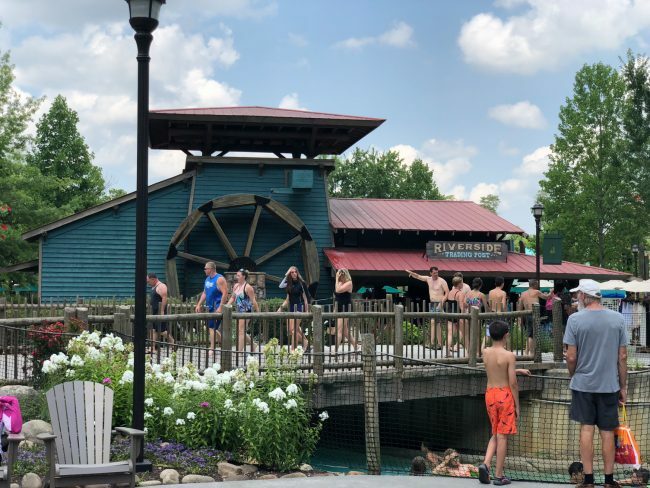 Check back next week for another waterpark adventure to help get you through this hiatus. 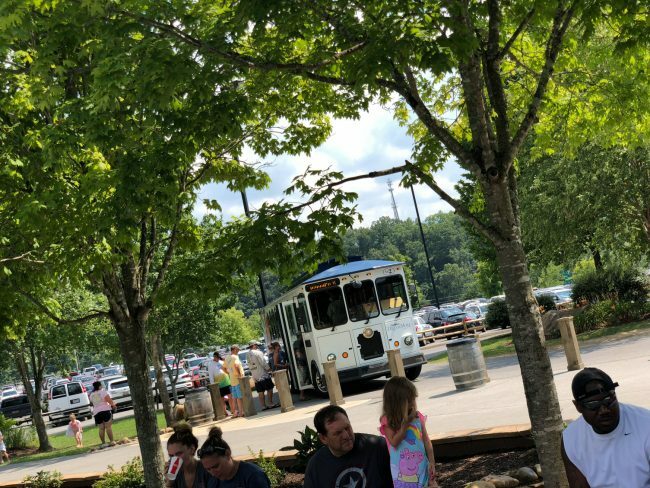 The Dream More resort has its own shuttle service to take guests to the hotel, the theme park, the waterpark, and downtown. Thanks for a great day, now off to ride some of my favorite rides at Dollwood for the rest of the night. 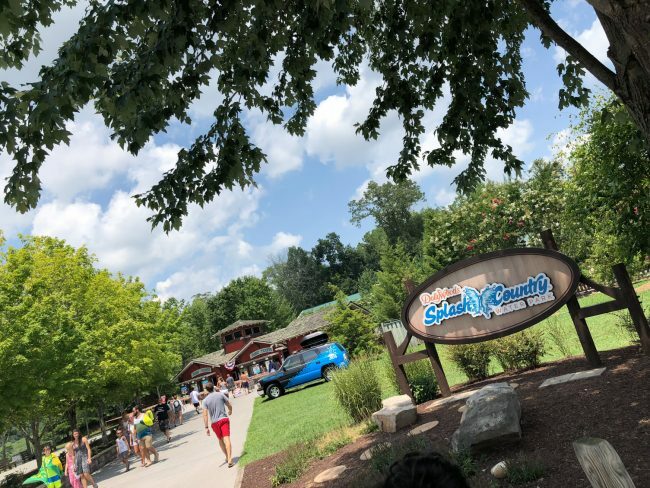 Make sure to put Splash Country on your bucket list for 2019, it is 200% worth it!